The British Foreign and Commonwealth Office calls on Russia to immediately release Ukrainian pilot Nadiya Savchenko. This is said in the statement of Minister for Europe David Lidington, released on the Office’s website. "I am deeply concerned by reports that Nadiya Savchenko’s health is seriously deteriorating. She has now refused food and water for 7 days in protest against her illegal detention in Russia, flawed trial, judgment and sentence," reads the statement. "I call on Russia once again to urgently fulfil its international obligations, including under the Minsk Agreements, and release Ms Savchenko immediately," the Minister noted. In addition, Lidington called on Russia to allow Savchenko to receive urgent medical assistance from international medical teams. 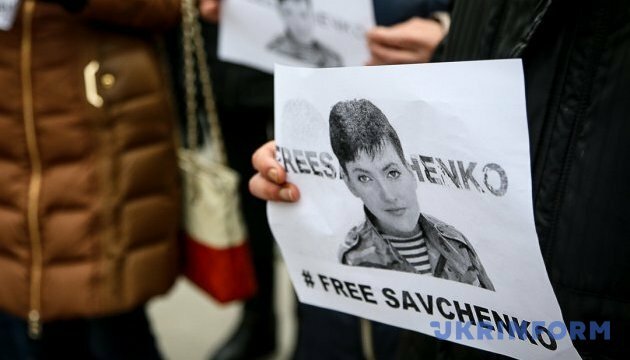 As reported, Nadiya Savchenko resumed dry hunger strike on April 6 as the verdict in her case, delivered by the Russian court, came into force.